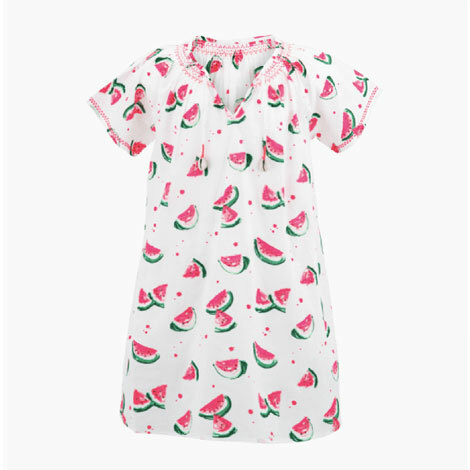 Give your beach belle a taste of paradise with our watermelon print kaftan dress. Effortlessly lightweight, this beach-chic design is ideal for throwing over damp swimwear when it’s time for an afternoon refreshment. Neon stitching looks stunning against crisp white cotton, while boho whipping and real shell embellishments provide the perfect finishing touches.